ENTER THE DREAM BIG GIVEAWAY! 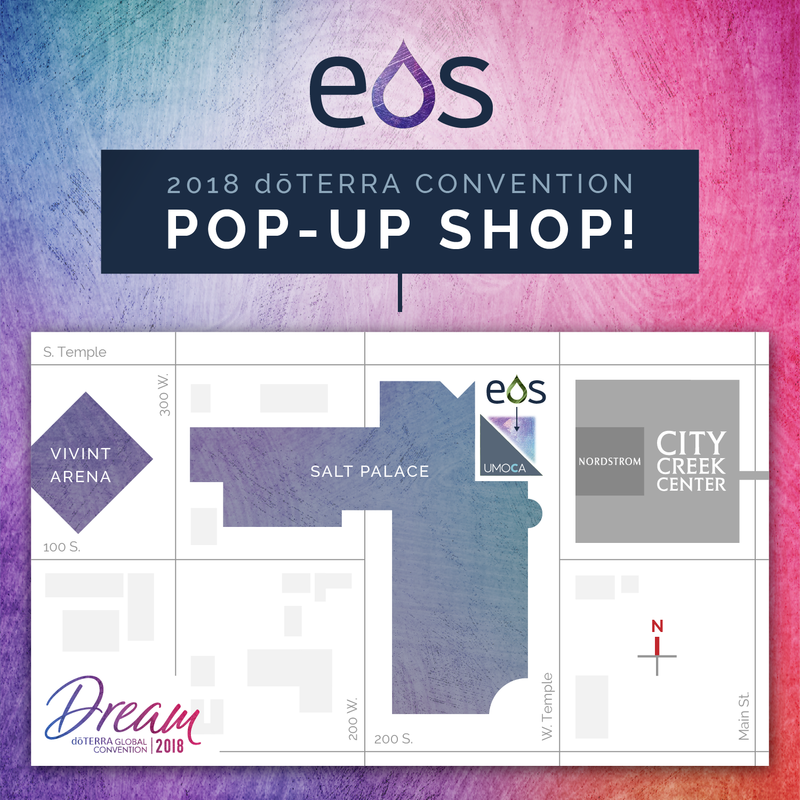 The EOS Pop-up Shop for the dōTERRA 2018 Convention has arrived! In this post, you'll find everything you need to know about what to expect when you visit our Pop-up Shop! Below you'll find a map of the Pop-up Shop floor plan to help make your shopping experience as easy as possible! The following graphic explains our deals and promotions for the Convention Pop-up Shop! There will be several discounted items (prices will be marked), and many of our Artisan partners are also offering their own discounts and bundle deals! This year, we are introducing the EOS Artisan Marketplace! The EOS Marketplace is where several of our artisans will be hosting their own booths! You'll get to meet some our artisan family face-to-face and get to shop handmade products that are EXCLUSIVE to the Pop-up Shop! For a full list of the artisans participating in this year's marketplace, click the button below! 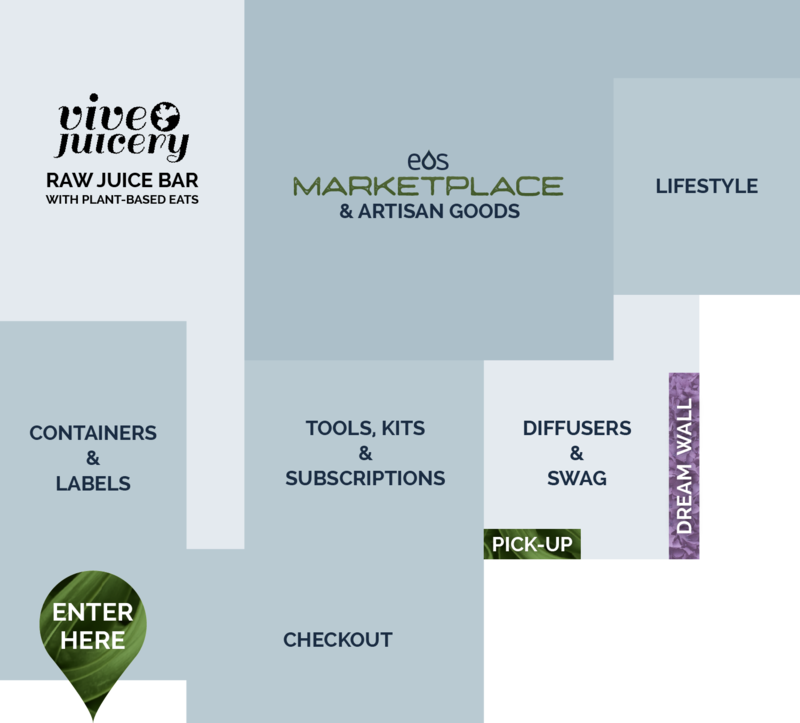 Vive Juicery will be hosting a juice bar, offering a selection of raw cold-pressed juices, local cold brew & kombucha, and grab-and-go plant-based eats! The Juice Bar will be open from Tuesday September 18- Saturday September 22, 2018 from 8am-6pm. For all the juicy details on the Raw Juice Bar, click the button below! We are collaborating with the talented floral artists The Petal Coop to create a floral mural wall! Dream-themed for Convention, this beautiful piece of living art is the perfect photo opportunity! Follow The Petal Coop on Instagram! Our friends from the Droplii app will be hosting a booth in our shop this year - you'll be able to chat with them about their powerful educational and sharing tool! Droplii removes the barriers to sharing information on essential oils by providing an app that includes basic information on oils as well as hundreds of recipes right at your fingertips. It also serves as your all-in-one business building app, helping you easily follow up with contacts and educate for less! "For $99.99 USD a year or $9.99 USD a month, Droplii can be the push you need to grow your downline. If someone signs up using your personal link, their contact information automatically shows up within your app. From there, it’s simple to follow up with them or answer any questions they might have. Sometimes all it takes is constant contact to help someone make the jump from oil user to business builder! Once you’ve shared the app with someone, they instantly have free access to a basic reference guide, as well as hundreds of recipes. With the Droplii Mentor Subscription, you can kiss contact sheets and expensive books goodbye and say hello to a cost effective way to grow and educate your downline." 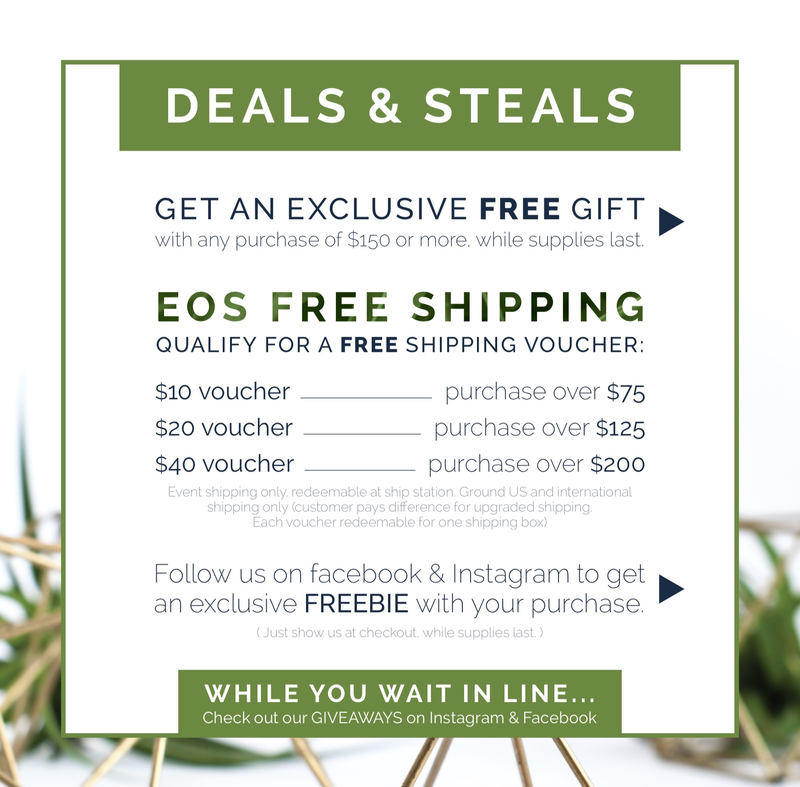 EOS: the dōTERRA Essential Oil Supply Boutique!